Hey y'all! 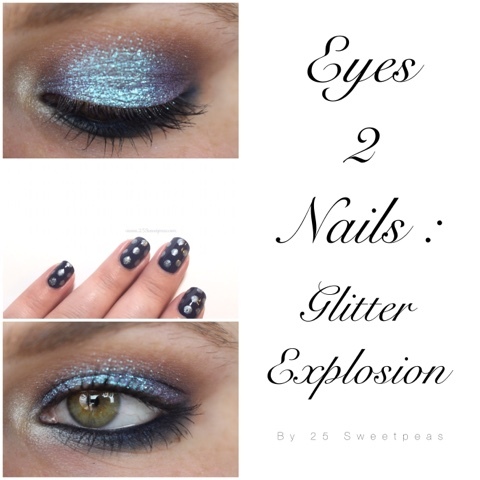 This week we have a glittery look for the Eyes 2 Nails post! I am loving the eye look so so much so let's get into the actual post so y'all can see it! 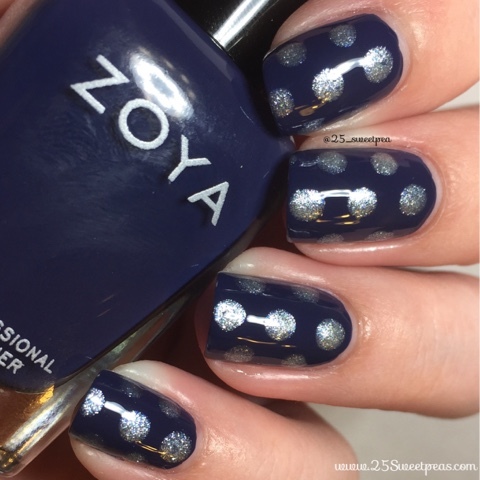 For this look I started with one coat of Zoya Sailor. Then I used Sinful Colours Out of this World for the dots and my largest dotter. 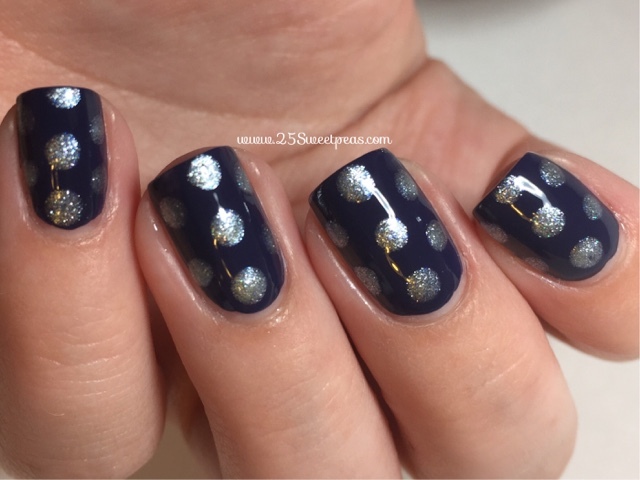 These really would go with anything Navy! 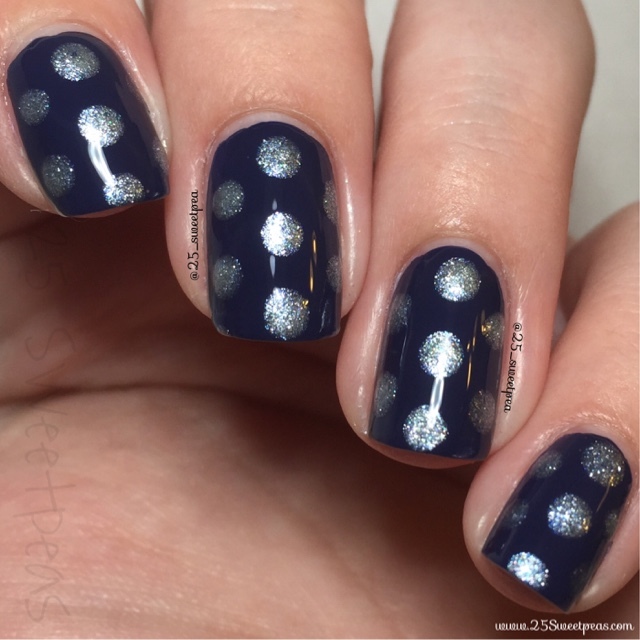 You could always add a red nail too and it would kind of give it a complete nautical feel. 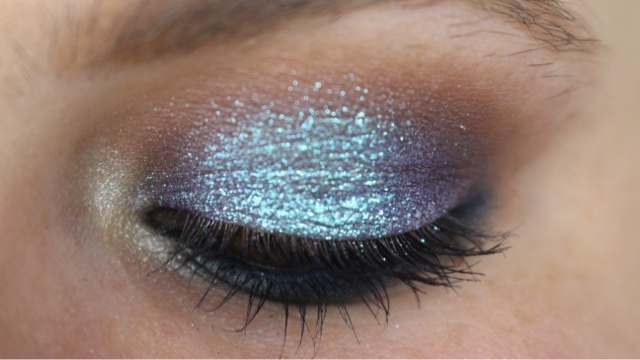 Now y'all have to see what Beauty By KMad did because it is so pretty and if y'all like glitter well you will love it!! So so beautiful be sure to click the above picture to check out the info for this look and to read the next half of this post!